The KBAC-27D is a great little VFD, but the base model does not come with a forward/reverse switch installed. You can buy the forward reverse switch kit that KB Electronics sells or you can cobble together parts from the hardware store like I did. NOTE: This information presented here is intended for educational purposes only. 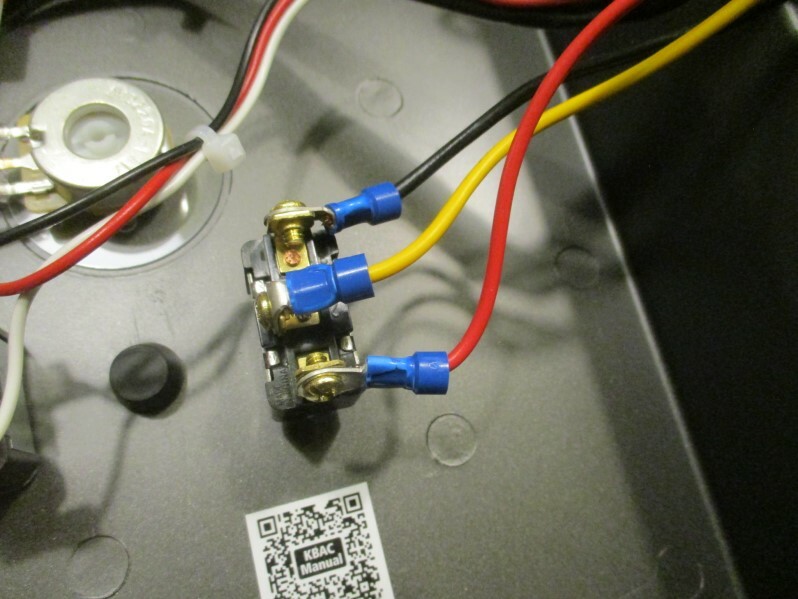 It is not intended to replace the advice of a qualified professional electrician. Always exercise extreme caution when working with electricity. 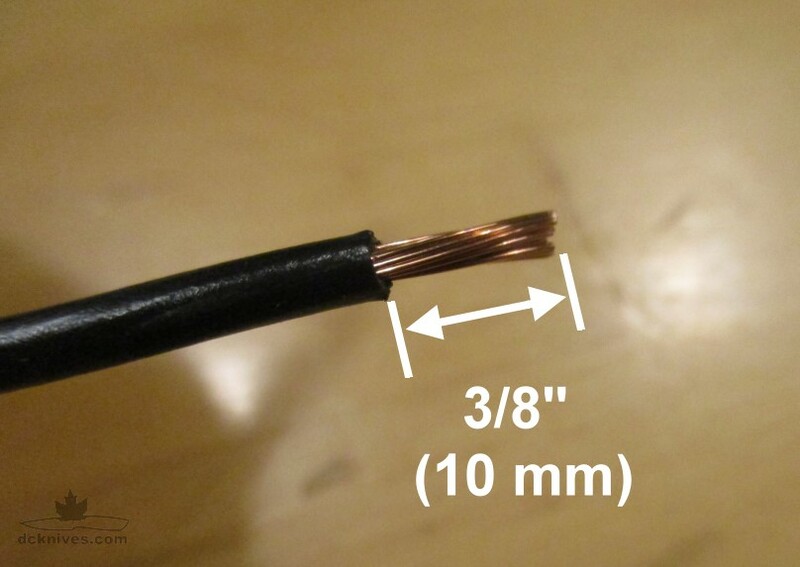 All wiring must adhere to national and local electrical codes. Cable ties (3) or electrical tape. 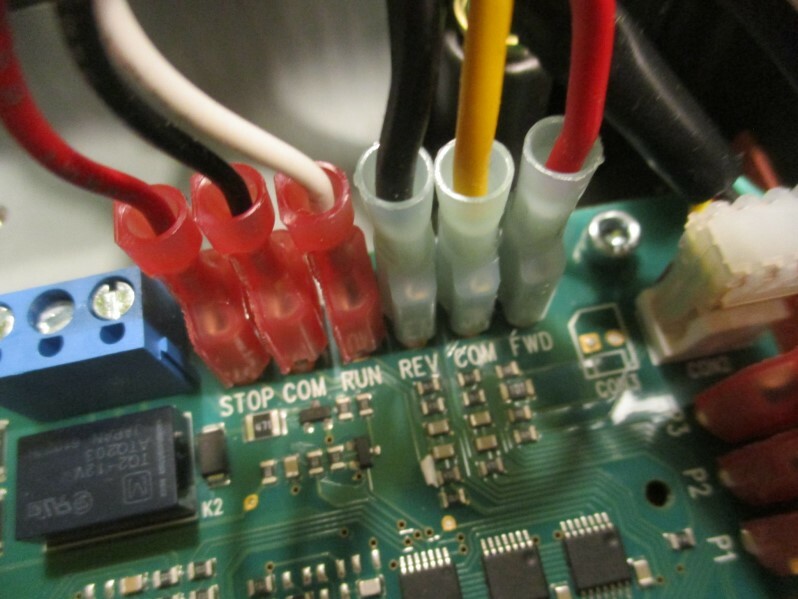 The Single Pole Double throw switch is an ON/OFF/ON which sends a control signal to the VFD. The GSW-12 is readily available switch that meets the requirements. 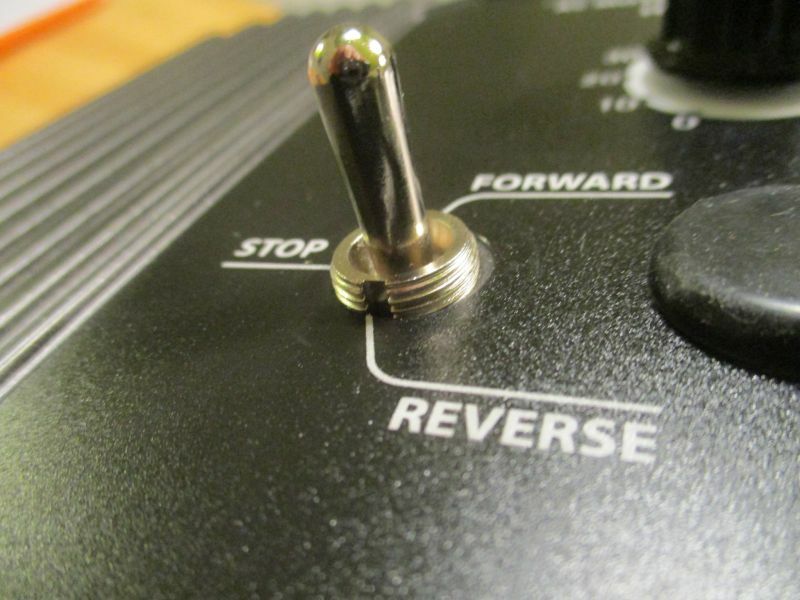 The GSW-12 has screw terminals. Ideally our switch would have male quick connect terminals, we can work around this with some 1/8" blue ring terminals. The rubber cover for the switch is a GSW-20. They come in packages of 2. 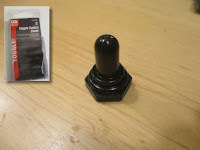 They are made of EPDM and contain a nut that threads directly on to the switch and seals the lever and around the nut against the door. These covers are necessary to maintain the VFD's NEMA 4X rating against water and dust. 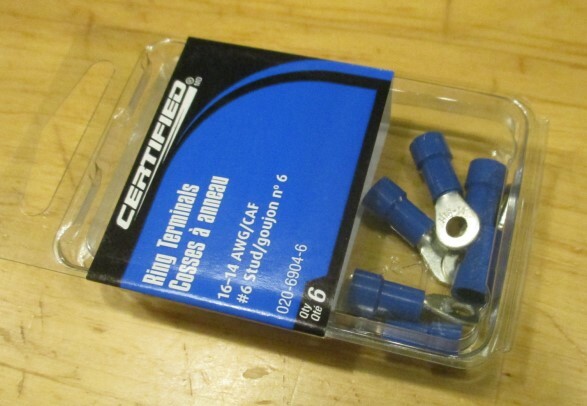 The ring terminals can be found at most any auto parts store. 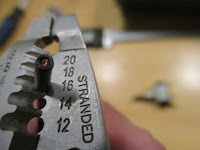 These have a 1/8" hole and are small enough to fit the switch screws, but not too large to get in each other's way. 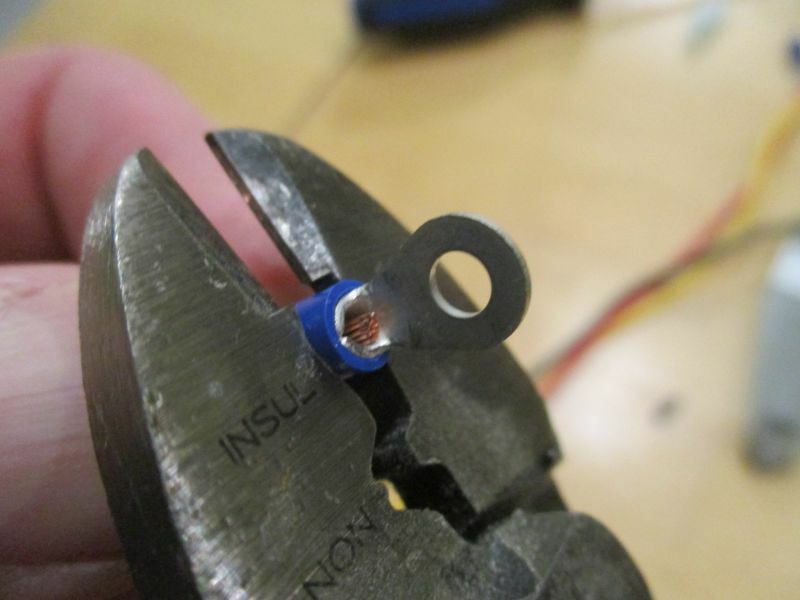 The blue color indicates the size of wire they are meant for which is 16 AWG or 14 AWG. 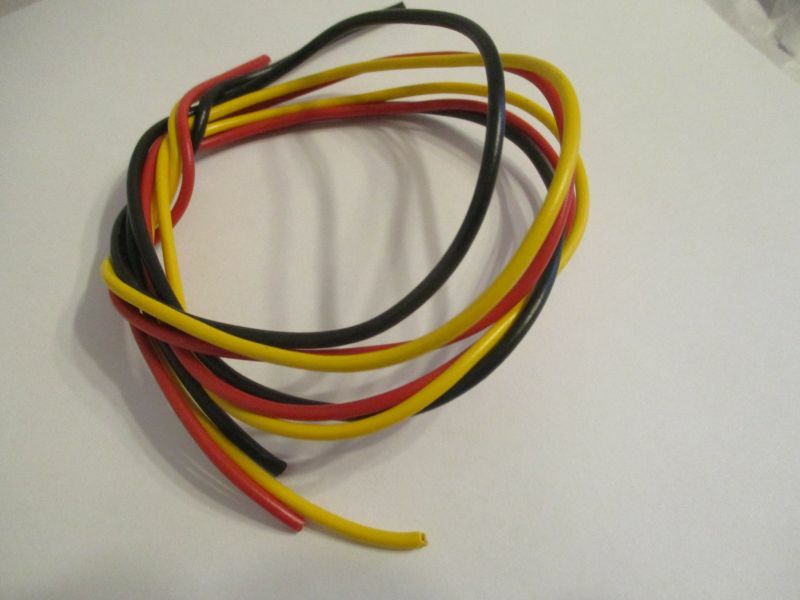 The wire I have is 16 AWG TEW (Thermoplastic Electric Wire) which is common hookup wire. You could use smaller wire for this application as long you use suitable (red) ring terminals and quick disconnects. 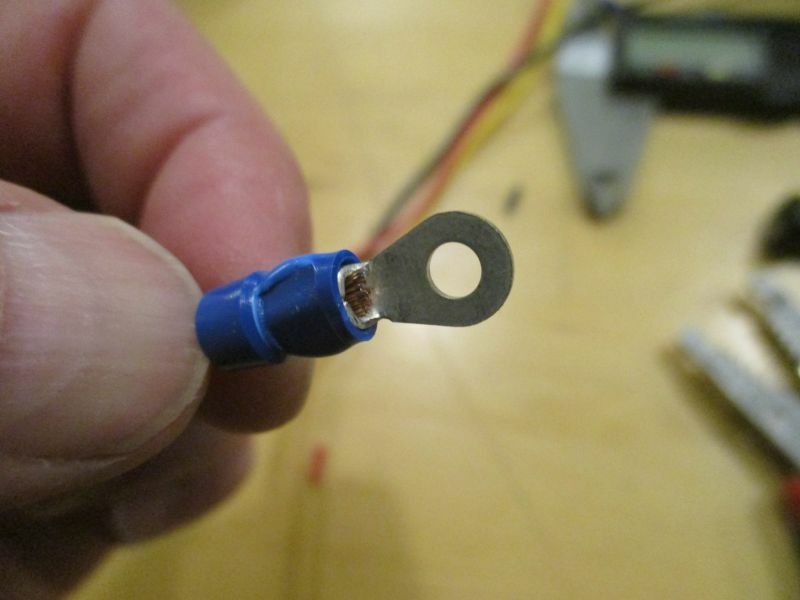 Cut three pieces of 16 AWG wire about 10" long. The wires can be different color like mine, or they can be the same color as long as you identify what wire goes where. If you use the same color of hookup wire, simple stripes with a permanent marker can be used to identify the individual wires. Using the wire stripper remove about 3/8" (10 mm) of the insulation on each of the wire ends. Slip the ring terminal over the un-insulated part until the copper is sticking through of and give it a good squeeze with the crimper. 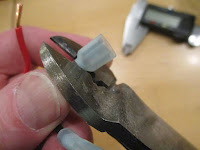 Note I am using the area of the crimper that says "INSUL" which is meant for insulated terminals. Give the terminal a good tug to make sure it doesn't pull off. 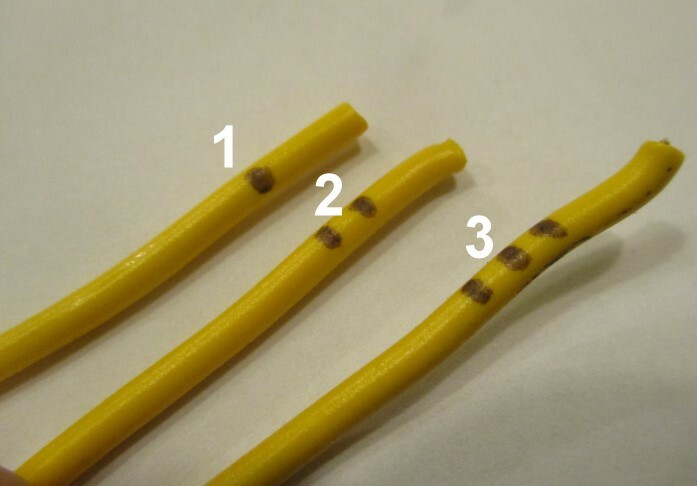 Repeat this for the other two wires. Each wire will have an insulated female quick connect at the end opposite to the ring terminals. 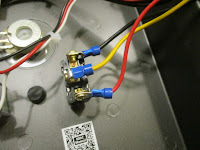 After this step you should have three wires; each with a ring terminal at one end and a quick connect at the other. 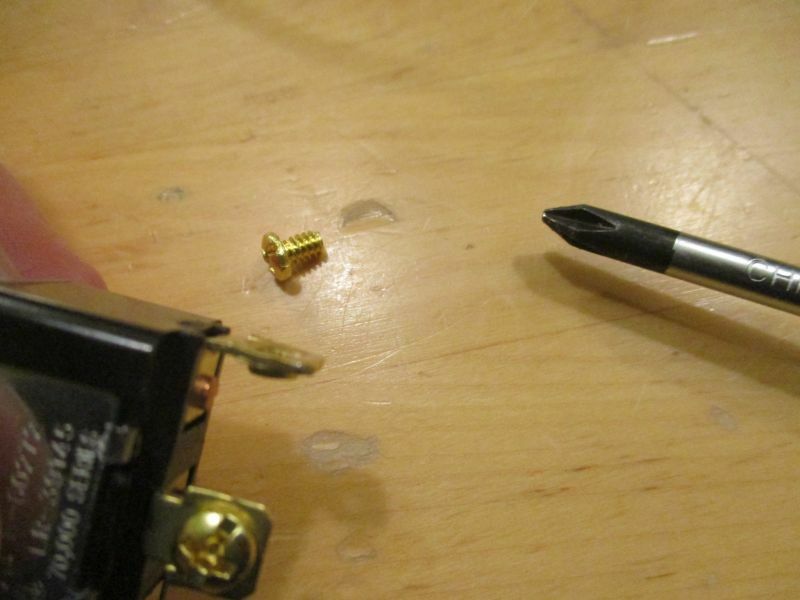 Remove the three screws from the switch terminals. Screw the ring terminals on so that the red (forward) wire it as the bottom of the switch and the terminals move to the right of the switch when viewed from behind. It's important to note that the KBAC door has notched hole which fits the threads on the switch and prevents the switch from rotating. Here is the switch in place and the notch is towards the bottom of the switch. Screw the toggle switch cover and tighten. On the backside of the door you can see the wires and how the terminals are oriented to the right of the switch. Remove the jumper wire that is between the COM and FWD terminals on the KBAC circuit board. 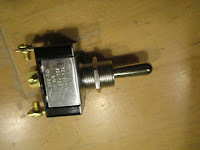 Press the female quick connects over the mating male pins. 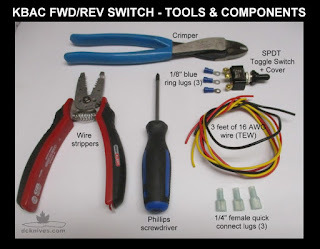 Confirm the wire from the bottom of the switch goes to FWD, the wire from the middle of the switch goes to COM and the wire from the top of the switch goes to REV. 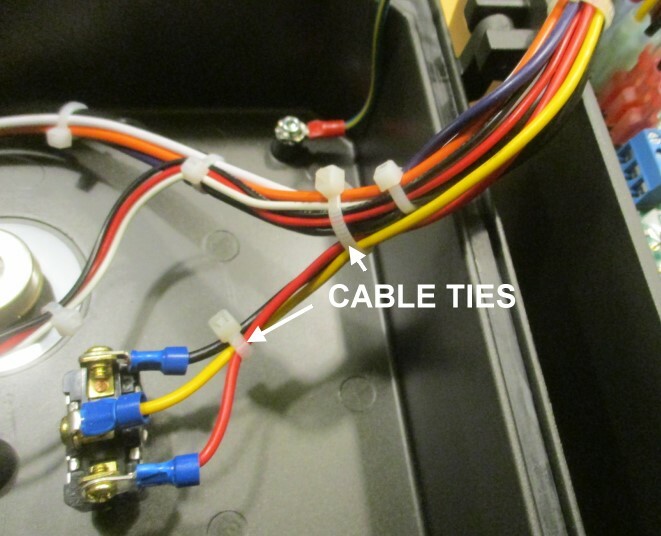 Using some cable ties or electrical tape, tidy up and secure the wiring to the existing bundle of wires. Close up the door and make sure that none of the wires are being pinched in the door seal. 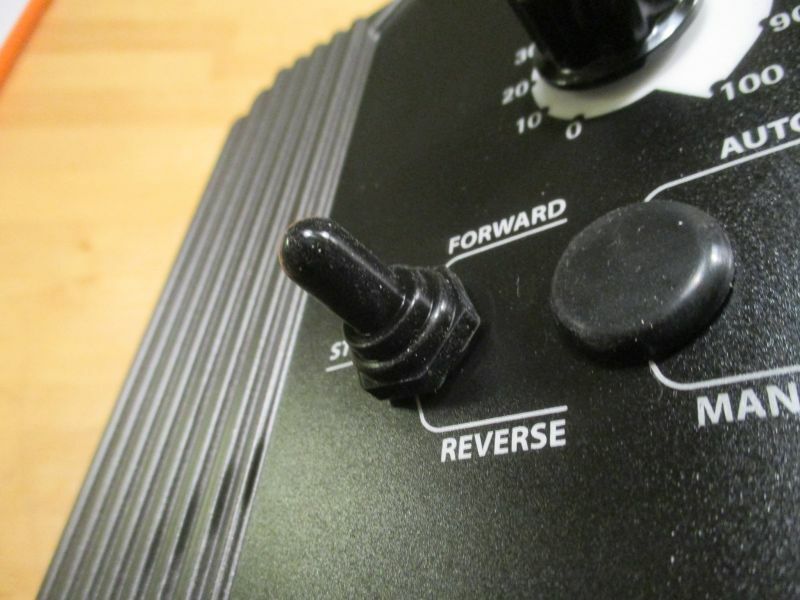 Set the Forward/Reverse switch to forward and power the VFD. 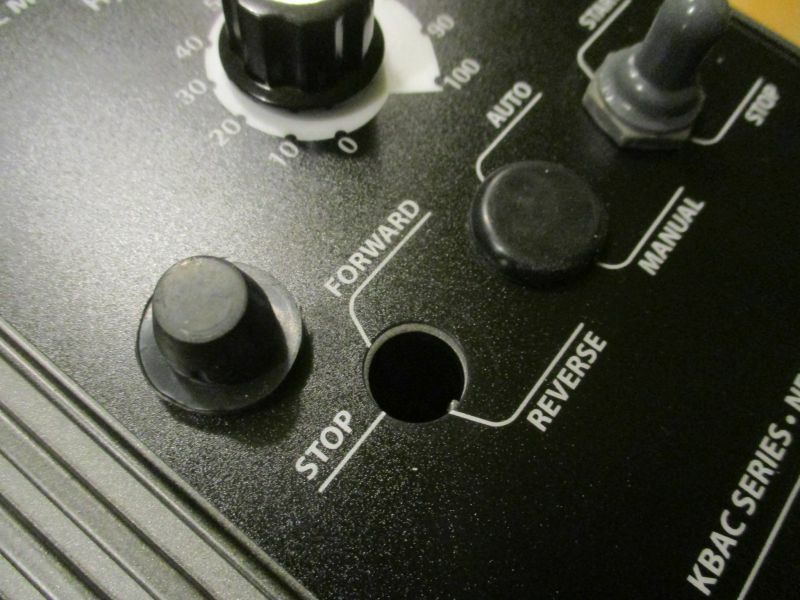 Flip the Start/Stop switch to Start and confirm the motor is running forward. 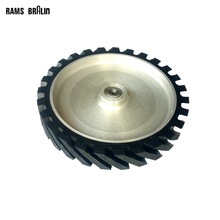 Stop the drive. Flip the Forward/Reverse to Reverse and flip start the drive. The motor should be running in reverse. Hey Dan, I'm curious. Is there a way to have the one VFD be used by multiple devices, having the power switched in some way to the one motor you would want to control? 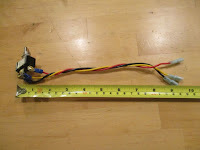 Yes, one can wire a three pole switch that would direct the power to one of two different motors. Another approach would be to use one common receptacle on the VFD output side and wire a mating plug to each motor you want to use. Some issues can arise with multiple motors. Each motor should ideally be the same horsepower, then you can set and forget the VFD settings/jumpers. If they are not, you may lose some of the protection that the VFD provides. Example, the VFD thinks the motor is a 2 hp and you connect a 1 hp motor to it. The motor will not be properly protected during an overload. Ed Cafrey did a good write-up on the switch method.